Some people often perceive fashion as expensive and a luxury. For me, fashion is for everyone and fashion shouldn't always be expensive. without having to hurt your wallet. When I want to shop for clothes with a budget, Gaisano Grand Mall is one of my go-to malls. They offer various styles for different sizes. From casual to formal, you can find these outfits at Gaisano Grand Mall. You can really tell that they offer up to trend styles with in an affordable prices. 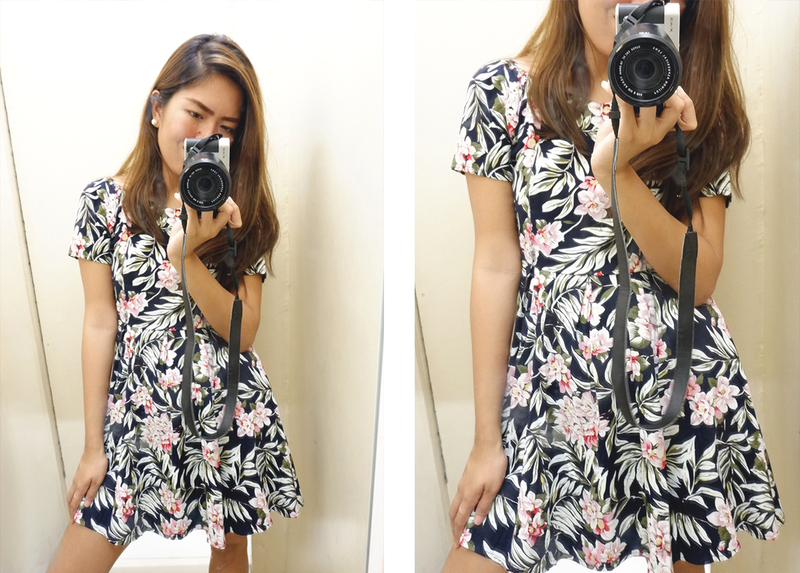 For this post, I'll be showing you my top 6 outfits that is below Php400! Yes, you heard that right! You can get an outfit for less than 400 bucks. First up is this yellow maxi dress. For those who know me, I really love wearing the color yellow. 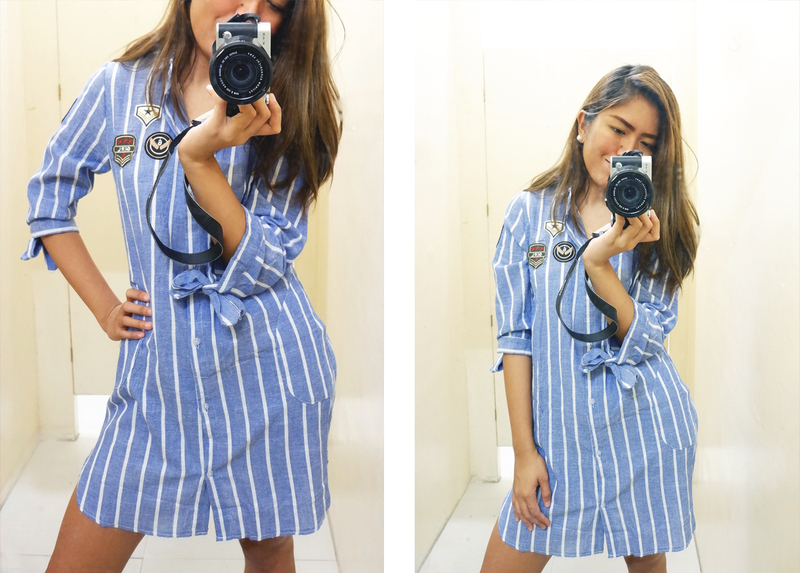 This dress is perfect for times when you're traveling. May it be heading towards the beach or just touring around the city. 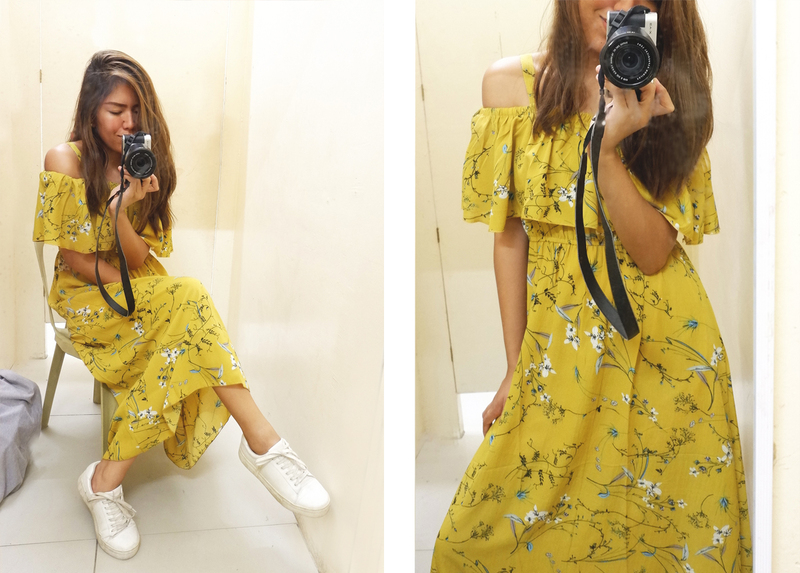 Wear it with a floppy hat and a pair of sandals, or even with sneakers for a different look, this dress can do wonders with what you opt for. or even with pants for times when you need to move around a lot. With this piece, you come up with a lot of unexpected combo! If you haven't noticed, side stripe outfits are totally hot this season. This statement look can bring out the sporty and athletic feel to your look. So if you're into the street fashion vibe, having these coords will definitely be a good addition to your closet. Whenever I see blue and white stripes, it immediately reminds me of the sea. Nautical colors gives a fresh take on your look. 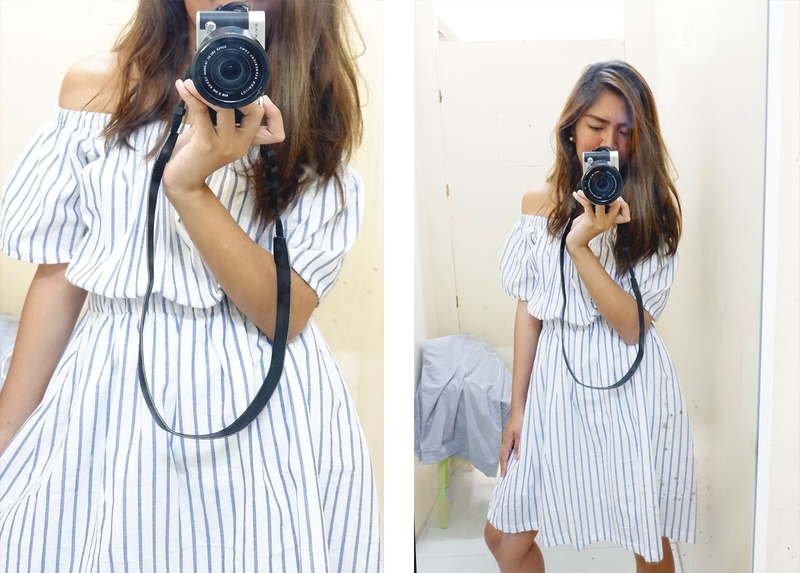 Plus the off shoulders is somehow a great piece to wear for tropical places. Just wear this one with a straw hat and a pair of sandals, then you're good to go for a visit at a beach. Printed pieces, such as a floral dress, will always have a playful and flirty take as an outfit. Wearing this kind of piece will somehow give a statement to your look. Pairing it with something clean and simple will already do the trick! And lastly this corset belt romper. I've been looking for something like this and I'm glad that I found it at Gaisano Grand. This may look plain, but the belt detail is indeed a chic touch. This look will surely be a head turner, especially when worn with a pair of booties. and be confident. What's more is that you can easily shop without spending much at Gaisano Grand Mall. Visit their Facebook page for more updates.